Originating in ancient China 5,000 years ago, five element acupuncture is one of the oldest continuously practiced medical systems in the world. The World Health Organization formally recognizes acupuncture as an effective form of medical treatment. Acupuncture needles are as thin as a strand of hair. Only the finest quality stainless steel, pre-sterilized needles are used. Treatments are done with the fewest number of needles possible and insertions are generally just below the skin surface. Most people experience a sensation during acupuncture, but pain is minimal. If needed, insertion-less treatment and surrogate treatments for babies and young children are very affective. Western medicine and acupuncture can work well together. If you have been seeing a physician, tell them that you are receiving acupuncture treatments. As your symptoms go away your medications can be reduced or eliminated. The number of treatments can vary. Some people experience immediate relief; for others, it may take several treatments for symptoms to start subsiding. For more serious illnesses, a treatment program is discussed. 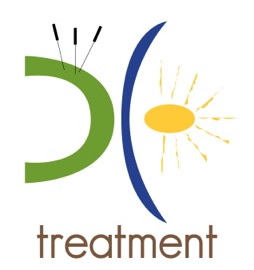 For more detailed information about specific acupuncture protocols, follow the links on the Acupuncture Protocols drop-down menu.